Traditional Sri Lankan fare is unbearably spicy so most of the people who have not tried it before used to avoid it. However, Curry Leaf restaurant in Al Mussalla Tower’s food court has changed this saga by introducing mild to subtle spice in their SriLankan cuisine. The restaurant has taken this step to invite more and more people to try this undervalued cuisine, and grasp the true aroma plus lip smacking taste of island dishes. 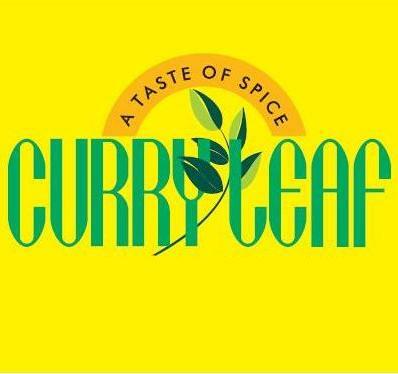 To accomplish this task, Curry Leaf restaurant has introduced almost all types of traditional dishes of Sri Lanka. In addition, Chinese, British and some fusion dishes are also included in the menu to add more attraction. Unlike traditional spicy Sri Lankan cuisine, Curry Leaf offers both subtle and intense mannered food, so this underrated cuisine could become accessible for everyone. Their menu consists of full range of Sri Lankan dishes. In addition to this, guests will also get British fish along with chips and Chinese fare on the menu of this restaurant. Some fusion dishes are also served which are basically a blend of sub continent curries with pastas. Sri Lankan varieties include delicacies like fish croquettes, hoppers with fried egg, lumpries and etc. Moreover, rice is cooked with different kinds of meats like poultry, mutton, beef, fish and onions. Prompt service is another fine attribute of this small Sri Lankan restaurant, which makes every guest leave this venue in a blissful manner. Curry Leaf restaurant opens daily from 11:30 am till midnight and during this span it serves brunch, lunch and dinner to their customers. Al Musalla Tower, Bur Dubai - Dubai - United Arab Emirates. 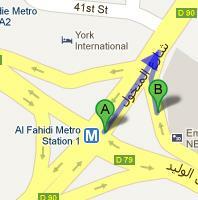 Curry Leaf is 170 meters away from Al Fahidi Metro Station 2. This makes it a walking journey of about 2 minutes, if a commuter heads in the northeast direction on Al Mankhool Road and then takes a sharp right turn in order to get to the destination that is situated on the left side. Head southwest on Al Mankhool Road towards 41st Street, then turn left onto 41st Street and after that walker should make a right turn onto Al Mankhool Road. This will bring the pedestrian to a point from where he or she has to make a slight turn towards left side in order to get to the destination that is on the left side. View map for directions.